You know I can't resist a good feast day feast, even if it means an extra trip to the store. What a beautiful, landmark day! 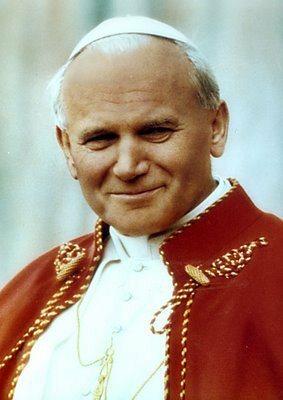 John Paul II, we love you!! Yay JPII Day!! Thanks for these! I may be a little late with them but I think we'll try these soon. How neat to be able to celebrate a saint we all knew "personally"!